A 3-book middle grade novel series about a girl who loves Christmas everyday and discovers the magical (and not so magical) truths working for the North Pole, all while trying to survive elementary school. What if you were obsessed with the Christmas Spirit every day? 24 hours a day, 7 days a week and 365 days of the year? This is the world of 9-year old Chrissy Deigh. Wearing ugly sweaters in the heat of July? That's fine. Decking the halls during April showers? How neat! Making Christmas cards in the month of March? So wonderful! With a year-round, exuberant merry cheer, Chrissy suddenly realizes the world doesn't agree with her permanent love for the holidays, including bullies at school. When it all seems the non-merry world is against her, an inciting offer from a mysterious blue-haired woman on one fateful night changes everything: A job offer from the North Pole! From checking the list for naughty or nice, to North Pole Ambassador and even filling in for Santa Claus in a pinch, Chrissy will use the power of Christmas Magic to make Christmas come true for kids 1-92...all while trying to survive elementary school. 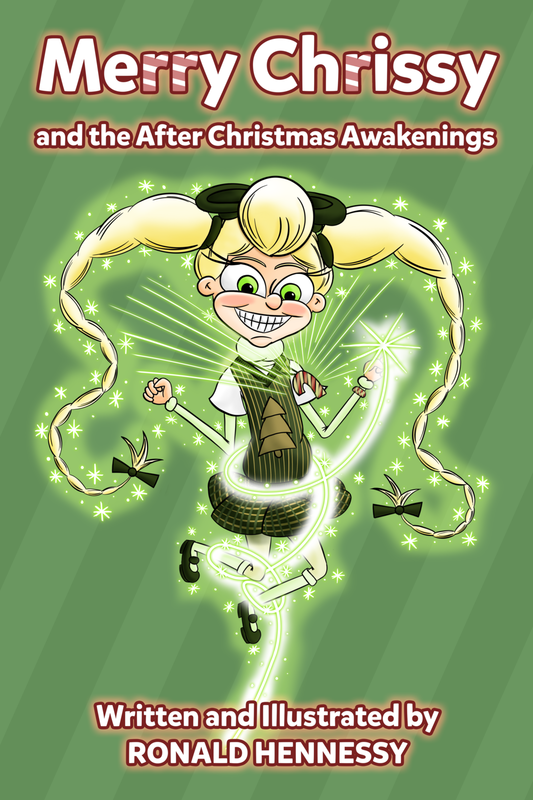 Chrissy's adventures are chronicled in 3 merry magical volumes! Click on each title to learn more! Chrissy's magical adventures begin here. The FINAL Merry Chrissy adventure. Sign up for the newsletter! Be the first to know about future titles, projects and updates from Ronald Hennessy. Your e-mail address will NOT be sold or used to spam you endlessly. You can unsubscribe at any time.